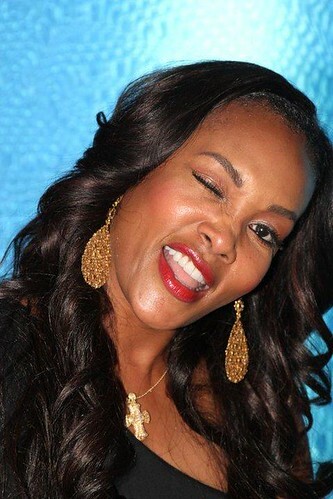 In an interview with TheGrio.com, Vivica Fox, the 48-year-old actress who starred in such movies as Independence Day, Soul Food, and Kill Bill, was asked about her opinion about how Dash publicly supported Romney. Vivica Fox seemed absolutely delighted in her petty disgust over the actress and arrogantly said she didn’t understand why an actress would endorse a candidate in a bathing suit. Really? Is that all Fox has to say? Nevermind that Fox endorses Obama everyday on her Twitter feed … oh, and by the way, Fox is wearing a bathing suit. Perhaps Fox is just jealous because she doesn’t look as good in her bathing suit as Dash looks in hers? Of course, the people who like to rejoice in hate, will love Vivica Fox’s smug, classless, and unintelligent babbling about Stacey Dash. Schadenfreude and Hollywood strikes again.